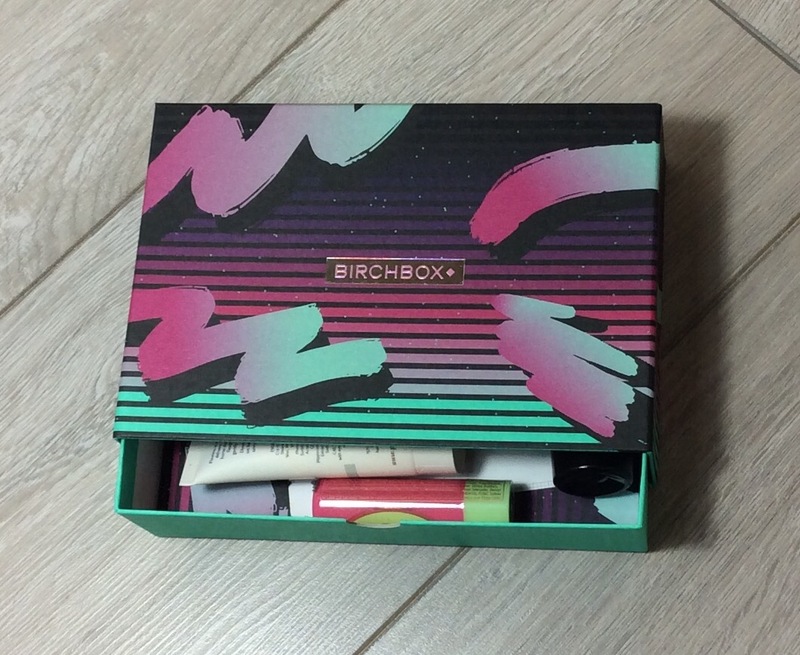 I received my February Birchbox last week . 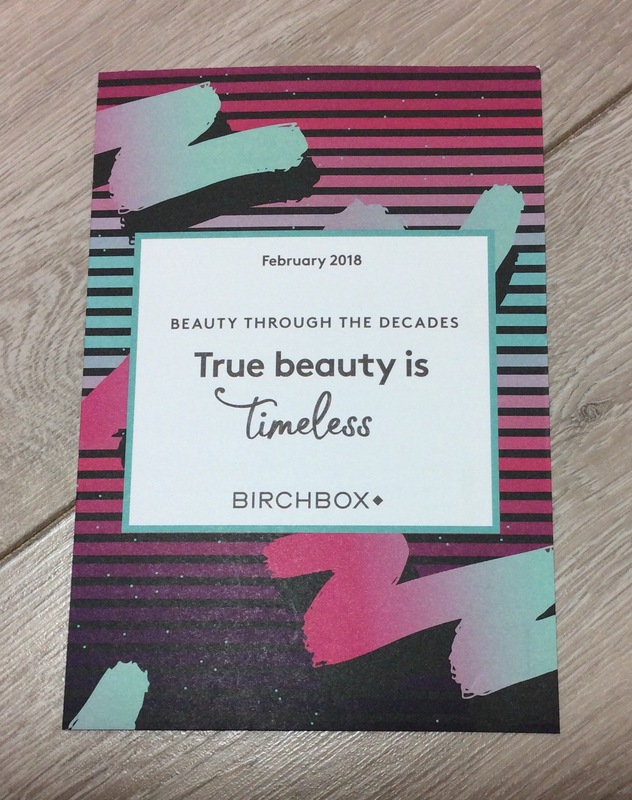 Theme of this month’s box is Beauty through the decades – ‘True Beauty is Timeless’ – subscribers were again able to choose their box design this month. I chose the one below as just liked the design / colours of this one that bit more. 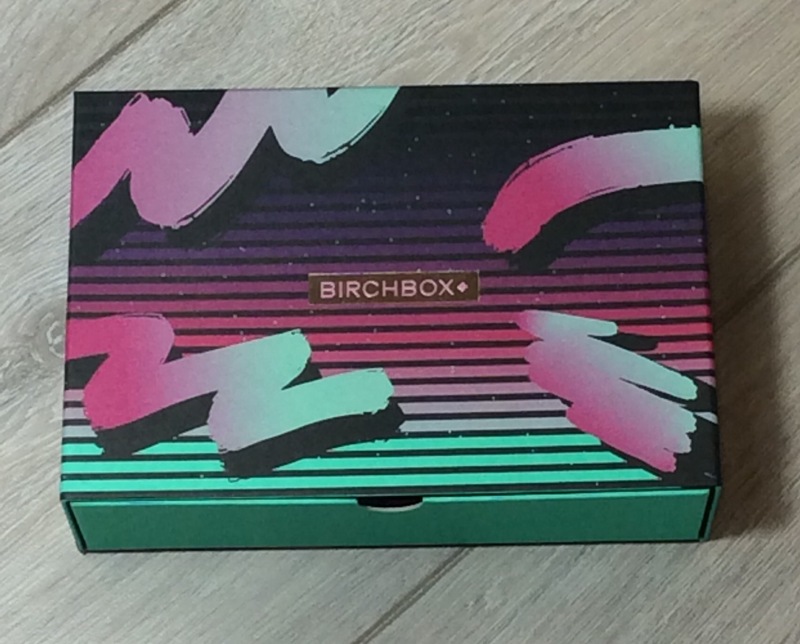 Birchbox is a monthly subscription box which costs £12.95 (inclusive of p&p) per month and 3, 6 & 12 monthly subscriptions are also available. 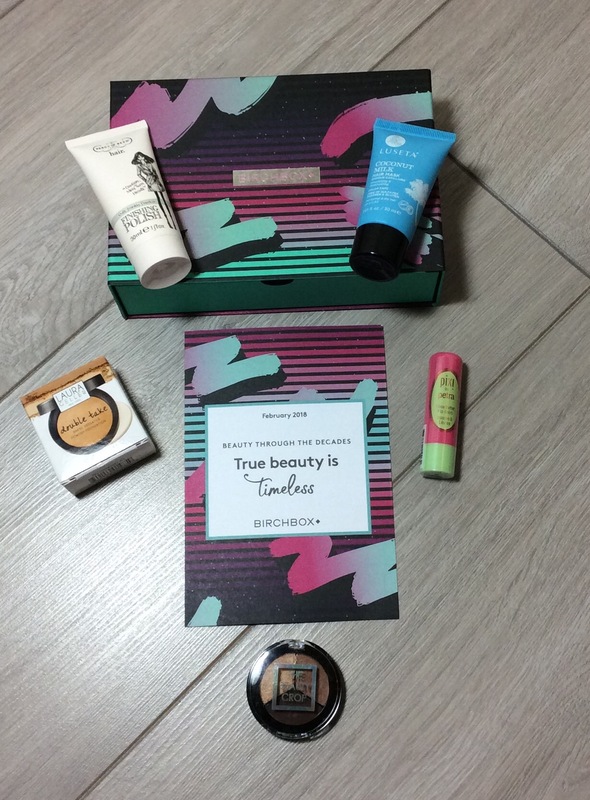 Usually five personalised beauty treats are included each month. 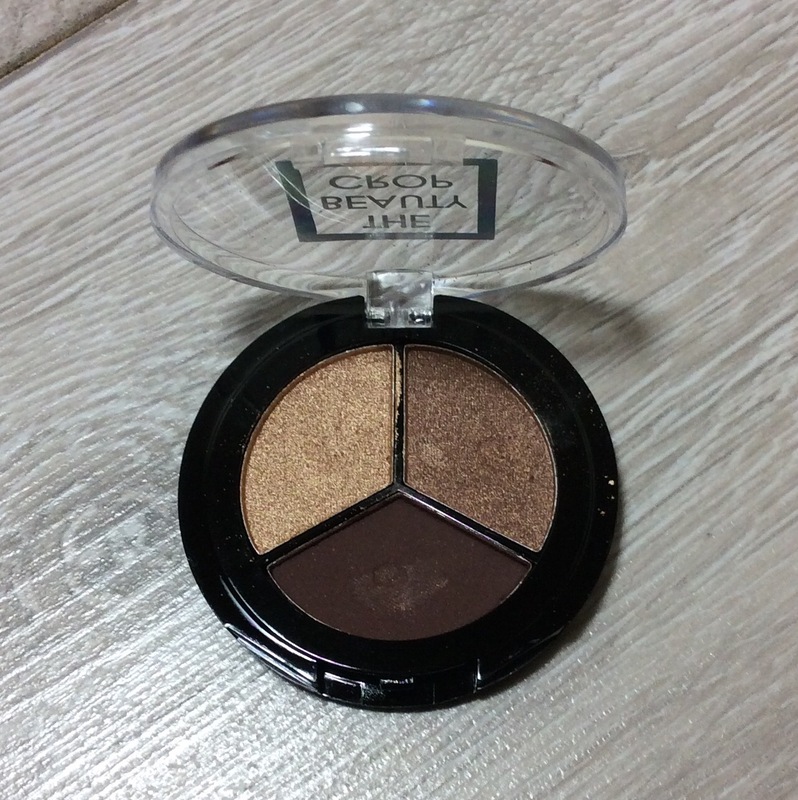 Laura Geller Double Take Baked Versatile Powder Foundation in Medium (sample size 1.8g) Full Size 10g RRP £28– Although this is only a sample size it is still a good size and even though it is in the shade Medium it is still ok for my me – I usually use light in a foundation. 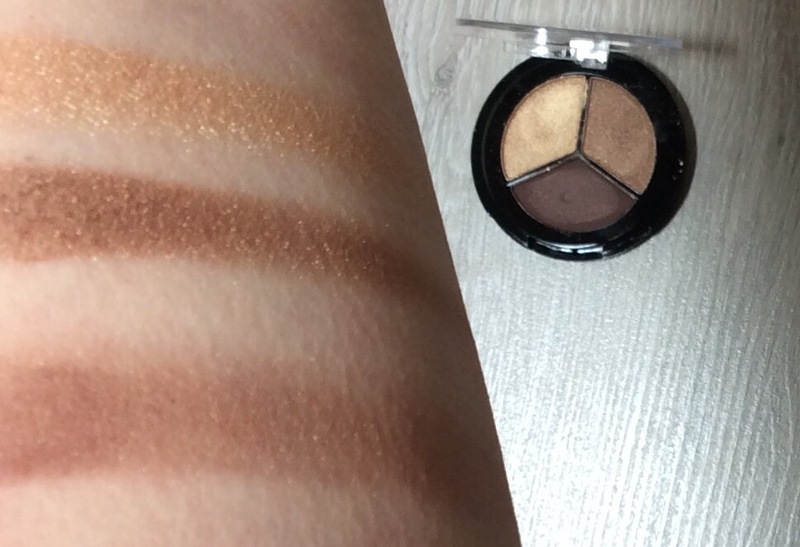 It states you can use wet with a sponge for a full coverage but even though I applied it this way & it give a heavier coverage did not really like the finish, prefer to apply over a lighter creamy foundation as a finishing powder or as a touch up during the day. Not sure I would purchase but happy to see included as do like a number of Laura Geller products already. 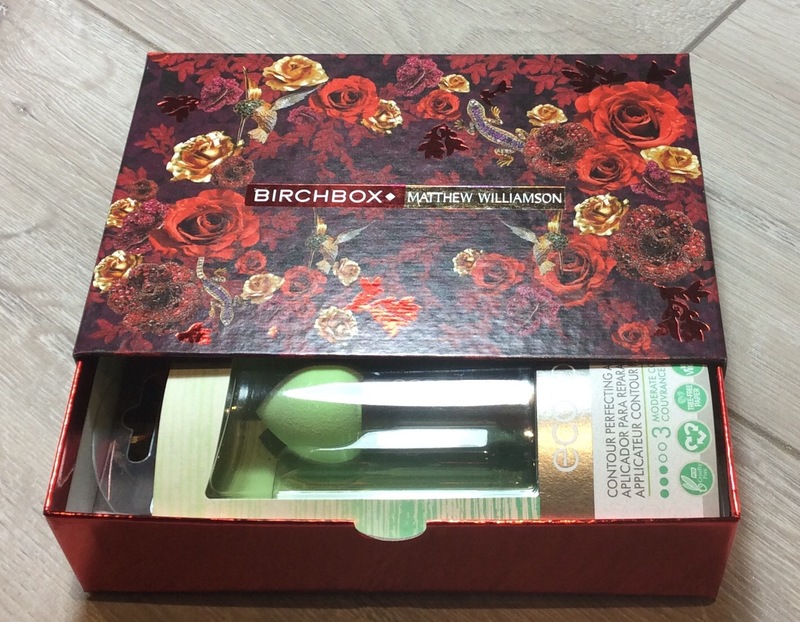 Happy with this months box as although may only go on to purchase one of the items will still use the rest. Pleased to receive two full size items and three good size samples this month. 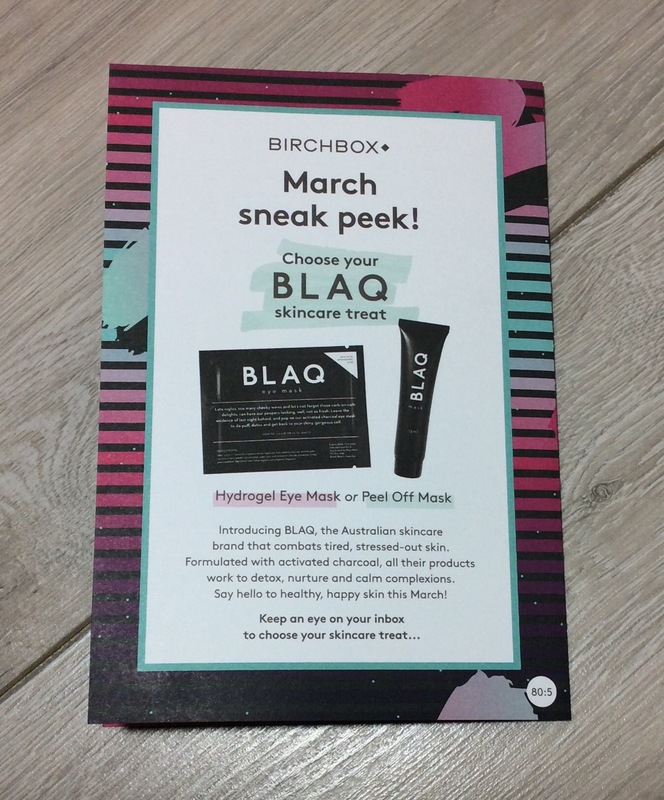 SPOILER: March Sneak Peek (below) is either a choice of a BLAQ Hydrogel Eye Mask or Peel off Mask for subscribers – we will receive an email to enable us to choose which one, think I will pick the Eye Mask. In addition I have seen on social media we should also be receiving a sample of the new Benefit BADgal Bang Mascara in our March box – hope this is correct as it is on my list to try. 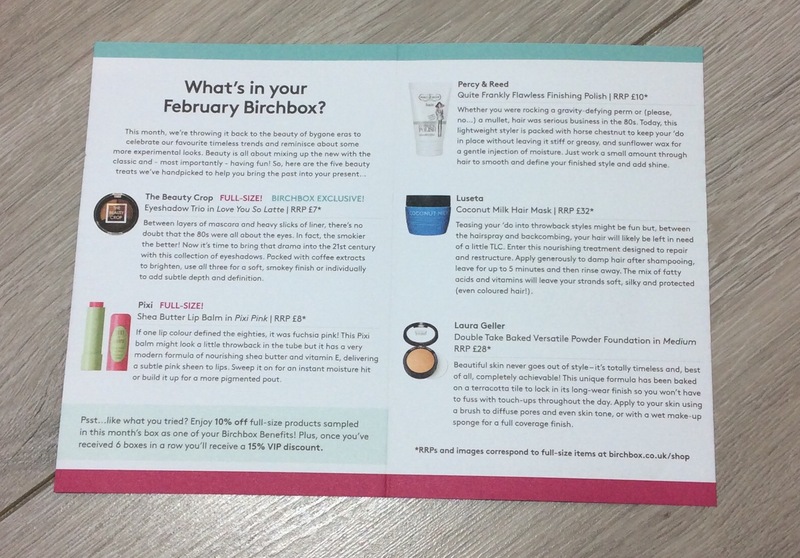 If you subscribe during FEBRUARY for your first Birchbox you will get a FREE full-size Smith & Cult Lip Lacquer (worth £21). 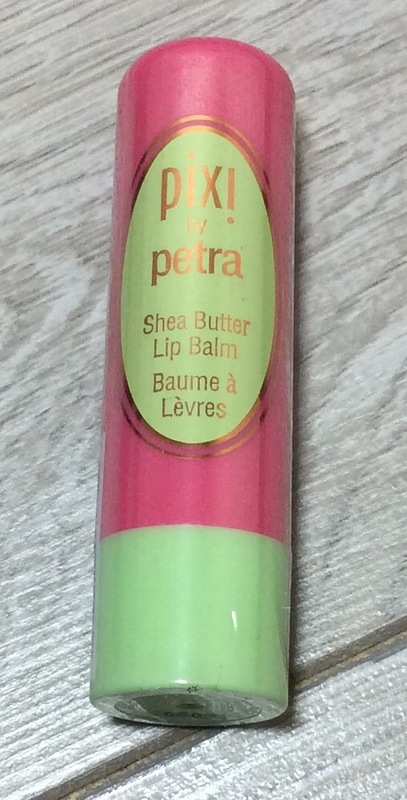 Just need to use the code GLOSS at checkout. 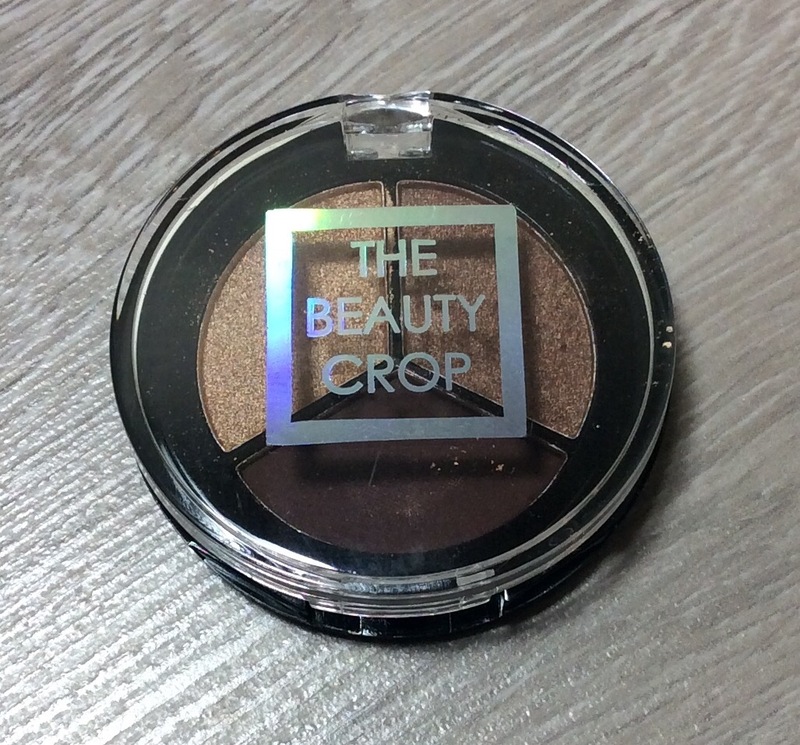 Or just in case you prefer money off your box (cannot use both) you can get £5 off your first box -(box is normally £10 +£2.95 shipping – you will get for £5 +£2.95 shipping) by clicking link here and then copy and paste code at checkout to get your discount. Thank you in advance if you use this link. If you are not already a follower would love you to follow my blog too – would mean a lot. Will have more posts up tomorrow and /or during the week.